Have you ever wondered how to find the right agency for you? Today we talk about marketing agencies, but I think this conversation applies to any service provider. 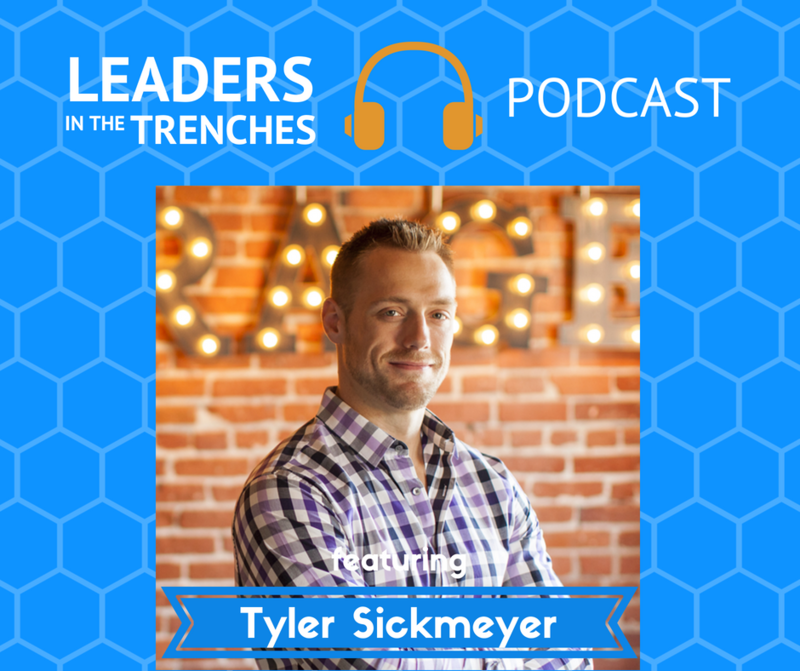 I am talking to Tyler Sickmeyer who shares with you fundamental questions to ask your agency to ensure that you are hiring a strategic partner and not just a vendor. Tyler is the CEO of Fidelitas Development who works with major brands to develop powerful marketing strategies. Tyler’s Target Audience: Tyler targets into the overall marketing efforts of the organization. Strategically and helping them figure out why we’re doing what we’re doing and then how are we going to report ROI. -This is leaders in the trenches and your host today is Gene Hammett. Hi my name is Gene Hammett, I'm with leaders in the trenches and my question for you today is how do you find the right agency for you? Have you ever thought about hiring that marketing agency that will really drive results for your business? it's probably not a vendor, it's probably more like a strategic partner. The big difference between a vendor in strategic partner is a vendor will do the work that you tell them to do and not much more and they push back on really tracking the results of what they do because they're not in control of that, they may not even know how to go beyond exactly what you want them to do in that playbook. But a strategic partner is a kind of agency that you want in your business. I believe because they will drive you to and challenge you to come up with the right strategy for your business, they will go deeper and they will go in such a way that you get it right and a strategic partner is going to be much more transparent with you. And today we're going to share with you with the interview three questions that you must have and ask your agency if you want to find the right agency for you. All right, here's the interview with Tyler. 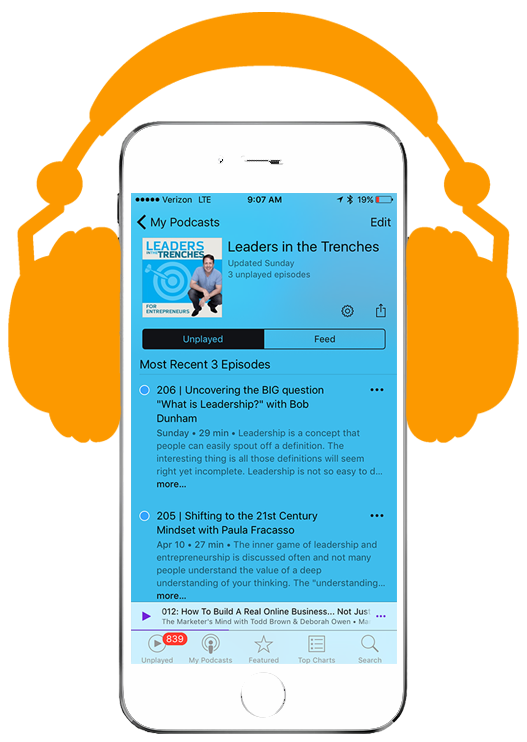 Well it's good to have you here at leaders in the trenches and we go way back your previous client of mine. Tyler: Absolutely a Gene Hammett evangelist to the enth degree. Well, I appreciate that. I've already told our audience a little bit about you but let's go ahead and introduce them to you and what who do you serve. Certainly, so I run a full-service agency called Fidelitas Development out of San Diego. We serve a variety of clients large and small are our niches to come in as more of a strategic partner Gene so, we like to be involved not just in the X's and O's and blocking and tackling on the marketing side of hey, we need five Facebook posts or we need an email marketing campaign but actually being able to come in strategically and helping them figure out why we're doing what we're doing and then how are we going to report ROI on that how are we gonna make that integrate into the overall marketing efforts for the organization because as you know with a lot of organizations they're often silos and the lefthand doesn't talk to the right handed we help solve a lot of that so, that's our background but again excited to be here with you today. Well, you mentioned the silo thing and it's come up a lot and I've lived it, you've probably lived it too and somewhat sure it's eating with clients. Why do you think there is such a silo between marketing and sales in the first place? So, if that's the problem and I agree with you on because I'm seeing this all the time too it doesn't matter what company it is it could be a technology company it could be a manufacturing company it could be someone who's not even marketing focused or someone who is marketing focused and it still they still got these silos and 50 ohms in an ideal world right we're just gonna go into the future, if you're working with a company at a strategic level what kind of organization and how would they work together between sales and marketing that would make your job even easier? transparent communication across the board and apart ship mindset and that's really big for us when we're looking for clients or when we're talking to someone that we're potentially going to do business with we emphasize that we say... Hey, if you're looking for a vendor you know if you want the you know five tweets a week and do you want fries with that we're not great for that like that's not who we are where we're gonna come in as more of a strategic partner and that means open communication both ways that means you can't hem and haw when we want to see your sales numbers you've got to share that information openly and likewise you know when we talk about sales and marketing working well together they've got to have that open partnership if marketing only generated seven or eight quality leads great doesn't say that don't fluff it with with ten or twelve more that aren't gonna convert and waste sales this time in the process just so you can hit your number or for the day or the month or whatever and likewise on the sales side they've got to invest and take that partnership mindset and say hey if I'm gonna be a good partner to my marketing team I've got to track whether or not these things convert so they can do a better job for me in the future. I think Carvin just comes from a leadership standpoint of communicating that mindset that mindset from the top down. You know I write a lot about leadership and the research I've done I was kind of cute and you in a little bit of this what I've done over the last six months and radical transparency is a it is a buzzword let's just be honest like it is something that people talk about very few companies are really able to have those kind of conversations where they say what they mean and they're willing to take you know not look good like it's hard to have that radical transparency and it's probably even harder to have it with your outside vendor sometimes because you you sometimes you don't want to be the bearer of bad news but you are right? Absolutely, and sometimes there's a little bit too much protectionism of well we can't give away company secrets or we can't disclose that information to an outside party and yeah I guess but if you don't trust us with your information how are you gonna trust us with your marketing your with your brand which is far more valuable than your sales numbers which at the time if we're talking about a publicly traded company Gene it's Google anyways in some format why not give more accurate data so that you can get better resources and better output from your partners that you're working with all for the greater good of the organization that employs you. So you know this is not exactly where we had planned I kind of like this conversation because it really does show a little bit of difference between you and and what's called a vendor so I let's go into that just a little bit so that we can all be clear when someone says I just need to generate more leads and we're gonna do it these strategy we want to use Facebook or something I'm sure you can do that right you have you have the capability to do that but you had said number times here we're strategic we're not just the tactical partner so what is it what do you get went with a strategic partner? Absolutely, I think part of it comes with the mindset Gene of starting with why so for example a vendor if you ask for if you're a marketing manager brand X and you ask for a campaign to be sent out a vendor agency is just going to go ahead and send that out that they're going to execute it to the best of their ability their goal is going to be to make you happy as the marketing matrix that's who they report to they're not gonna come back and ask why or say hey what if we tried this or what if we did this in a different way or actually we have to be honest with you this copies horrible do you carefully rewrite it like that honesty is not gonna be there right it's kind of like you if your spouse let you go out in public with your zipper down you'd be pretty ticked at your spouse right because you can dress your spouse to call you out on stuff I don't mind certainly will and likewise I think being a good partner means having your having your clients backs you know if it means looking out for them and saying hey are you sure you want to go to market with this? here's why we think this might be better to go in a different direction and then not just have an opinion but back it up with facts so taking that extra 15 to 30 minutes or an hour to do some additional research and say hey I know we disagree and we're gonna do what you want to do at the end of the day but let me show you some concrete data on why we disagree and then see if we can't persuade you that this is gonna be a better way to go that's in your best interest and our best interest and that way we can do better work together cuz otherwise Gene at the end of the day we all get the blame for it anyways. we know we care about results what are you guys doing as a strategic partner to really zero in on the results that a client wants whether it be more leads or more more sales or whatever it may be? Tyler: I'm glad you asked that Gene because there's actually kind of an interesting story so are you familiar with strategic operations Consulting strata up as it's called for short? we can follow up with them and say hey what happened you know we you know you said you'd have it by the say oh well we got busier we got pulled in a different direction okay that's fine but that's gonna change the outlook of our partnership for the next three weeks because we're either gonna have to play catch-up or we can rearrange priorities whatever the case maybe, and so we really try to parlay that into a better experience for the client and they also know that we're not out of sight out of mind I think that happens with agencies a lot where all of a sudden everyone looks up and realizes this a 25th of the month and and no one knows what got done that month and so now a sudden the marketing manager scrambling the agency is scrambling and really the results are half-assed at BET's and so rather than have that sort of situation we try to be a lot more intentional about it and make sure that we hit milestones as we go along and then again everything is tied back to that overall strategy. Hi this is Gene, I just want to take a break in the moment of this interterview you to give you a message because we've been working on something with our clients and it really is pretty exciting I want to share with you about the culture scorecard specifically it's called the transformational culture scorecard this will give you insight into where you are right now in eight different areas of your business we're gonna go from mission down through sales and marketing to leadership and people and systems there's eight total areas that we're gonna go through this we're looking at them across your business and you can find out where you score on this so if you want to find out more about that specific to you just go to www.genehammett.com/culture and you can get the transformational culture scorecard all right now back to the interview. ROI like I'm the VP of Sales I want to work with my vendor around what's the ROI of us spending 20 grand a month with you to get these these leads how are you looking at and tracking ROI for your clients? Awesome. So, it's really twofold Gene so first is the top-line ROI when we're looking at ROI for the organization as a whole which that's what really matters first and foremost that's why we got hired is to make our client more money like that that's why we're here at the end of the day and so really what we need to do especially in that onboarding process is we need to reverse engineer everything that we're doing and how that works into the clients organization so for example if our goal at the end of the day is more leads into their sales funnel then we need to track what percentage of those leads are actually closing as well as what those were worth another mistake I think a lot of agencies make when they track ROI they track it off top-line revenue like we've got to get into a much nitty-gritty relationship with our clients in just top-line revenue we need to know what the actual margins are at the end of the day so yeah and as you know obviously so if you've got 40% margins on something you know a 2x return on top-line revenue isn't going to cut it you know we've got to make sure that we've got better margins and other times there are higher margin items where we don't necessarily need as much legroom on the marketing side and so we need to take all that into consideration from the get-go so that we've reverse engineered this thing so that way whatever we're doing we can give it a grade at the end of the month or end of the quarter or whatever our reporting period is this either worked or didn't work it either it was either excellent or it sucked and then here's what we learned and here's what we're gonna do different next time and I assess a big thing for us is not everything we do Gene is gonna be a home run last I checked most agencies still employ humans the site just despite the rise of AI so any any organization that employs humans mistakes are gonna be made and no campaign is going to be perfect but to me that partnership mindset means that not only are we going to deliver great results but when we don't we're gonna be honest about that too and we're gonna be accountable and so rather than just sending over the same watered down Google Analytics reports that every agency sends over to every client we're actually gonna give you analysis on hey this is what worked and this is what didn't and here's what we want to do different this month or here's how we're gonna take those great results and try to 10x it so we always have ideas and always have an idea of where we want to go in addition to where we are and I say the second part of our line is to answer your original question is what what's the ROI for the actual direct report for us so there are obviously metrics that matter for the organization as a whole which with sales being the bottom line and then the other side gene I think that we try to hit on for clients as we always ask our marketing managers like hey what's your boss going to look at maybe it's not really relevant to the overall campaign but if we can get you some vanity metrics then that's gonna help you out and that's gonna make you look good with your bosses to us that's being a good partner because it's a lot of times the marketing manager anytime they hire an agency they're sticking their neck out because if the agency doesn't do well or doesn't perform up to snuff that marketing managers gonna be held accountable and I'd imagine most marketing managers don't get to choose the wrong agency too many times in a row before there's a new marketing manager making that decision instead. There's a practical and actual in every episode so what would be the three questions that you wished a company would ask you to let them know that you're the right strategic partner for them for their agency. What do you wish they'd ask you? I'd say number what I think so often times brands can get hung up on how many offices you have or how big your team is or... what are the biggest logos that you've worked with what I'd rather they ask is what experience do you have relevant to us? so, for example ask us you know, what case studies do you have that where you've solved the problem similar or to the one we're facing even if it's not the same industry or same size company or whatever right so let's focus on how the agency thinks and to us that's a big thing is identifying how we go about solving problems versus how someone else goes about solving problems also figuring out you know from a cadence standpoint who are the people actually working on my account so that's another thing I think people should ask right from the get-go so it's one thing to have four or five senior level people come into a pitch that will you'll never see again once you sign I'm a big believer in getting whoever the actual stakeholders in the account will be involved in the pitch from the get-go so that way there's no awkward transition after we sign somebody right like they're that they're still talking to the same account people the same SEO Pro the same email marketing expert whatever the case may be that they were during the pitch so and obviously we're not we're not a huge company at fidelity so that's not hard for us but you know even as we scale like when we get to five employees i wouldn't operate the same way that we do at our current size it's that same mindset of letting there be some continuity between brands and the and the teams that they're working with and I'd say that and the third thing is again what we've already been preaching on gene which is ROI which is how are you going to track ROI for us like what what's the successful relationship look like for you a bit because every agency should should know that and if they don't know what a successful agency client relationship looks like from the agency's perspective they're going to have a very hard time delivering and they're either going to be under delivering and putting a strain on the client or they're going to be over delivering and playing such a strain on their agency that it's not sustainable in the long run and they'll either end up firing the client or going out of business so that's why it's really important and that's one thing we're transparent up from the get-go is look for for this to work we both have to make money in this relationship otherwise one of us isn't going to be around very long. Yeah! don't want to spell it or if you honestly if you just google "Tyler Sickmeyer" you'll find me my last name isn't much easier to spell than Fidelitas but either way we'd love to connect with you there also I'm on twitter @tsickmeyer or we also have a podcast which Gene you were a guest on in the early days The Lion's share marketing podcast is on itunes and spotify and stitcher and all those other fun places too so if the listener has such great taste Gene that they're listening to you I would hope that they want us to try as well. pleasure gene thanks again for having me. Alright! fantastic episode with Tyler I love talking to previous clients that are rocking and crushing it these guys are growing amazingly they're speaking on big stages we talked about some of the things offline what they're doing it's just really impressive hopefully enjoy today's episode because it really will change the way you look at your vendors and your strategic partners and I want you to get the right company for you it may be Tyler's company it may be someone else but this whole thing's about breaking down silos so that you can find the right company for you that actually produces our an ROI as always go to www.leadersinthetrenches.com to find more episodes of this and you can also go to www.genehammett.com/hyper-growth if you want our latest research on hyper-growth companies understanding the chaos that it takes to do that and doing it with your team. A vendor will do the work that you tell them to do and not much more and they push back on really tracking the results of what they do because they’re not in control of that, they may not even know how to go beyond exactly what you want them to do in that playbook. But a strategic partner is a kind of agency that you want in your business. I believe because they will drive you to and challenge you to come up with the right strategy for your business, they will go deeper and they will go in such a way that you get it right and a strategic partner is going to be much more transparent with you. 1. Why do you think there is such a silo between marketing and sales in the first place? 2. If you’re working with a company at a strategic level what kind of organization and how would they work together between sales and marketing that would make your job even easier? 3. What is it what do you get went with a strategic partner? Onboarding your business as a client will actually put every element that we’re responsible for it in our scope into one of four buckets there’s right, wrong, missing, and confused. How are you looking at and tracking ROI for your clients? ROI, for the organization as a whole, is what really matters first and foremost. That’s why we got hired… to make our client more money. That’s why we’re here at the end of the day. Especially in the onboarding process, we need to reverse engineer everything that we’re doing and show how that works into the clients organization.